How did Hector’s dog start talking? Hector Dumble thinks he’s dumb. When his dog Buster starts talking to him, Hector begins to think he’s crazy too. Things become even stranger when Hector learns that his teacher Mr Weazel has a secret identity. How will Hector handle having a dog that can talk and a teacher who wants to take over the world? Find out in this shaggy dog story for kids aged 6 to 13. 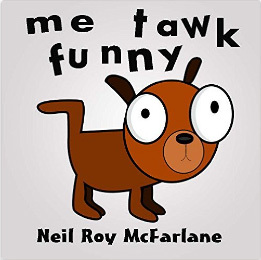 * * * Author: Neil McFarlane Publication Date: February 10, 2015 Pages: 33 pages * * * Our availability rating is based on feedback we receive from you on the permafree status of this book. 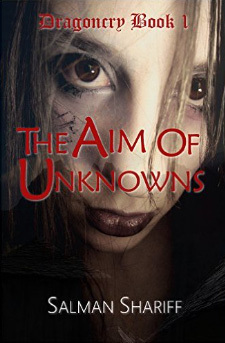 If you find a situation where a link to this book is NOT free, please post a comment below with the site and country where you could not access it for free. We will update the page with your information! Together we help each other find free books to enjoy. This is the FIRST BOOK of the AMAZING DRAGONCRY SERIES. 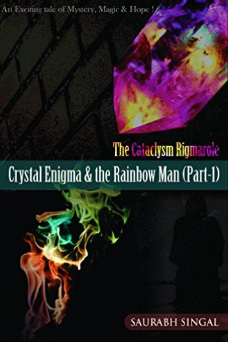 It is a fantasy series where the reader plays the role of historian putting together the pieces to determine why and how Cry City was destroyed. 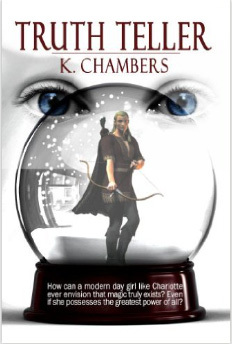 It chronicles the accounts of Taea, an impressionable girl who matures into a role that could fulfill a destiny ending all conflict. Will her fate bring the dragons back? Will there be another Age of Dragons? This series is a unique experience that combines war, politics, philosophy, archaeology, sociology, and cryptanalysis. * * * Author: Salman Shariff Publication Date: December 21, 2015 * * * Our availability rating is based on feedback we receive from you on the permafree status of this book. If you find a situation where a link to this book is NOT free, please post a comment below with the site and country where you could not access it for free. We will update the page with your information! Together we help each other find free books to enjoy. 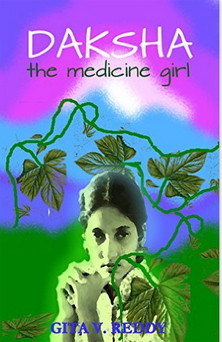 Daksha, the Medicine Girl, is about a young girl living in a hamlet in the Himalayas. Having lost her family in flash floods, she spends a lot of time with a vaidya (the doctor practicing native medicine) and learns the use of herbs and roots. A chance encounter puts her skill to test and changes her life, everyone says, for the better, opening up opportunities of school and education. Daksha likes her former life and yearns to return to the mountains of her birth until a resourceful doctor finds a way to help her adjust to her new life. * * * Author: Gita V.Reddy Publication Date: February 14, 2014 Pages: 37 pages * * * Our availability rating is based on feedback we receive from you on the permafree status of this book. If you find a situation where a link to this book is NOT free, please post a comment below with the site and country where you could not access it for free. We will update the page with your information! Together we help each other find free books to enjoy. 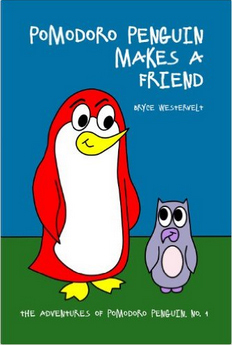 Pomodoro Penguin Makes a Friend is a rhyming children’s picture book for ages 3-8, perfect as either a bedtime story for younger children or read-along book for early/beginner readers. Join a little red, pasta-loving penguin named Pomodoro on his quest to cure boredom and find friendship. Pomodoro encounters a bully, but in the end, it is his love of all things pasta that helps him find an unlikely dinner partner! Pomodoro Penguin Makes a Friend is a cute story about friendship, acceptance, and respect. 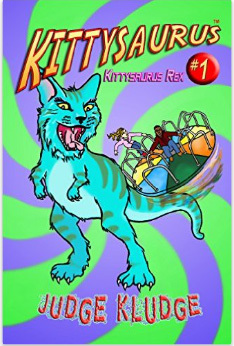 * * * Author: Bryce Westervelt Publication Date: March 28, 2014 Pages: 28 pages * * * Our availability rating is based on feedback we receive from you on the permafree status of this book. If you find a situation where a link to this book is NOT free, please post a comment below with the site and country where you could not access it for free. We will update the page with your information! Together we help each other find free books to enjoy. 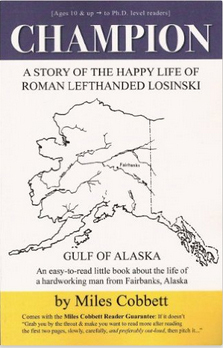 An easy-to-read little book about the life of a hardworking man from Fairbanks, Alaska A fun book to read that is loved by kids ags 4- 92 by Author Miles Cobbett This book is Literary Fiction and yet it is brimming with the common man’s struggles of everyday life, as well as Sports training and the motivation required to reach one’s dreams It comes with the Miles Cobbett Guarantee: If it doesn’t “Grab you by the throat & make you want to read more after reading the first two pages, slowly, carefully, and preferably out-loud, then pitch it…” * * * Author: Miles Cobbett Publication Date: January 10, 2008 Pages: 101 pages * * * Our availability rating is based on feedback we receive from you on the permafree status of this book. If you find a situation where a link to this book is NOT free, please post a comment below with the site and country where you could not access it for free. We will update the page with your information! Together we help each other find free books to enjoy. This is a sweet, poignant story of two sisters, their interwoven lives, their longings and regrets, but most of all, a story of remembering. The desire to have someone share memories and past moments of our lives with us is a powerful need. Life is made up of remembrances both mundane and life-changing. 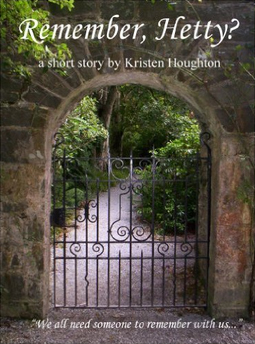 Kirkus Review says:”Hetty and Deidre will win your hearts in this short story by phenomenal new writer of the supernatural, Kristen Houghton. 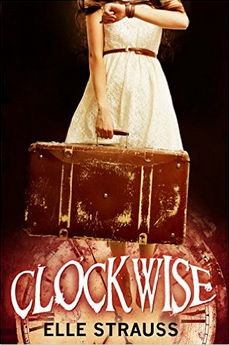 This story won the Writers Guild Review Best New Young Adult Fiction of 2011 award.” * * * Author: Kristen Houghton Publication Date: March 23, 2012 Pages: 7 pages * * * Our availability rating is based on feedback we receive from you on the permafree status of this book. If you find a situation where a link to this book is NOT free, please post a comment below with the site and country where you could not access it for free. We will update the page with your information! Together we help each other find free books to enjoy.